Watch full One Piece Season 14 Episode 51 English Dubbed full HD online. One Piece Episode 509 English Dubbed online for free in HD. Encounter! 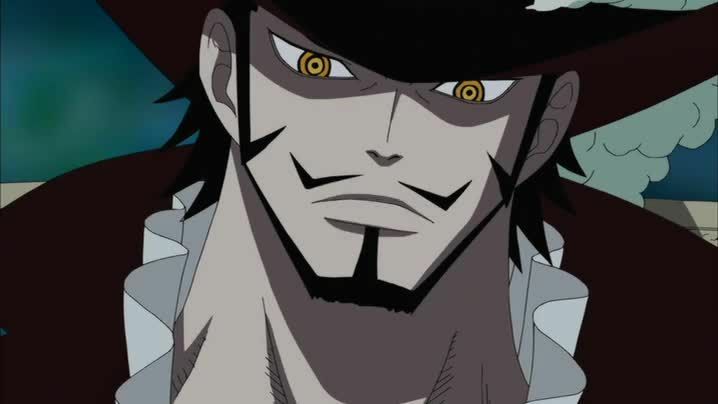 The Great Swordsman Mihawk! Zoro’s Self-Willed Deadly Struggle! On Kuraigana Island, Zoro tries to use Mihawk’s boat to escape but is stopped by the humandrills. He also discovers that the humandrills have used Zoro’s techniques. Mihawk tells Zoro that humandrills have used their behavior while watching other humans and tells Zoro to rest, but confronts the humandrills. Meanwhile, on Namakura Island, the shamans mistake Brook’s music scores as talismans against the Longarm tribe. The Longarms confront the shamans of the island; however, Brook reveals that the talismans are music. After playing a song, the shamans capture some of the tribe members. When Brook tells the shamans to release the Longarms, the tribe captures the skeletal musician. On Amazon Lily, Luffy finally makes up his mind and decides to go back to Marineford.